Armscor is a company that can trace its roots all the way back to 1905. While their heritage started in the Philippines, they have been a globally-recognized company that has served the needs of hunters, target shooters, and law enforcement for decades. 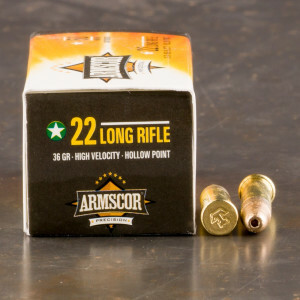 While the business started as an outdoors outlet, the core focus of Armscor is now self defense ammunition and firearms. They strongly believe that reliable products, for the purpose of home and personal protection, should not be unattainably expensive. To meet this goal, they have developed innovative products and manufacturing techniques that help maintain reliability and affordable prices. In 1905, Squires, Bingham & Co. was founded in the Philippines. This outlet traded clothing, firearms, and ammunition, as well as various supplies for outdoorsmen. In 1930, the company was renamed “Sportsmen’s Headquarters.” The company remained steady and successful, but it wasn’t until Don Celso Tuason bought the company that it truly flourished. In 1952, Tuason renamed the company “Squires Binghamm Manufacturing Inc.” By obtaining the first firearms-manufacturing license from the post-war Philippine government, Tuason and his company helped rebuild the region, which had been devastated during the Japanese occupation of World War II. The company continued to thrive, providing quality products to customers and jobs to the Philippine people. 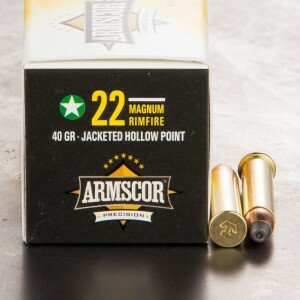 The Armscor brand, however, would not be seen until 1980, when the company was reorganized and renamed “Arms Corporation of the Philippines.” By 1985, Armscor Precision International opened its first United States office in Nevada. In the same year, Armscor purchased the Rock Island Armory brand, which was a leader in the manufacturing of M1911 handguns. Armscor has maintained a strong commitment to the design and manufacturing of 1911-style handguns, as well as the ammunition these weapons require. Armscor is now lead by Martin Tuason, the grandson of Don Celso and current president of the company. They have a detailed commitment to customer service and quality products, and create some of the finest handgun, shotgun, and rifle ammunition in the world. They export to all six continents (excluding Antarctica) and more than 50 countries across the globe. Very good ammo. No jams or misfires in 250 rnds in my M1. Other ammo was an issue and thought I was headed to the gunsmith until I loaded this. Bought 5 boxes..... not 1 misfire, used at range... fun to shoot. Will purchase more.